Australian environmentalists are intensifying efforts to stop mining in Tasmania’s Tarkine area with an injunction against Venture Minerals' Riley Creek iron ore project, believed to represent a deadly threat to endangered Tasmanian devils. 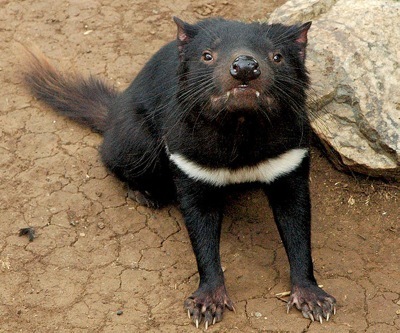 According to Save the Tarkine group, which has already won a legal action in the Federal Court last month to stop work at another project, mining in the region would imperil the survival of the only robust Tasmanian devil population still left in the wild. Western Australia's Venture Minerals obtained a lease to mine in Tasmania's northwest in May 2012 and its development application was approved last month. Scott Jordan, the conservationist team leader, has accused Resources Minister Bryan Green of fast-tracking the mining lease, and wants the area to be made a world heritage site. The Tarkine is the last place in the world that remains free of devil facial tumour disease, a spreadable cancer that has already killed over 80% of the total marsupial population, granting it the status of an endangered species. Jordan told The Mercury the project in question had not been assessed as part of a suite of nearby mines, but as a sole project, and that was in breach of Tasmania’s Environmental Protection Authority (EPA) guidelines. However in a statement released last month EPA said the Riley Creek proposal was "capable of being managed in an environmentally acceptable manner, provided that environmental permit conditions are imposed and complied with." The Tarkine, which contains the world's second-largest temperate rainforest, is a bitterly contested landscape where 10 mines are scheduled to open over the next five years.